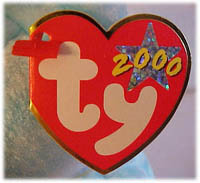 Around mid-December of 2000 news hit the Beanie wire of a Ty Thank Bear just for Retailers! 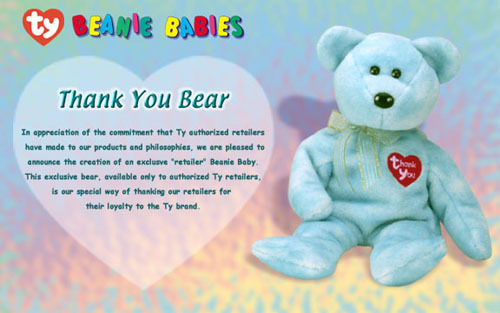 This bear would not be used for resale but given as a gift to Ty's retailers as a way of saying "Thank You" to them for their loyalty over the years. This was similar to the #1 Bear, Employee Teddy, and the Billionaire Bears that were given out in the past to Ty representatives and employees. 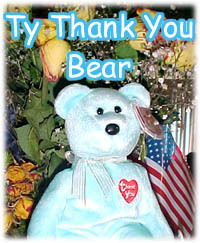 The "Thank You" Bear was given out in the United States, Canada & Europe. The beanie came shipped in a small box slightly larger than the beanie! 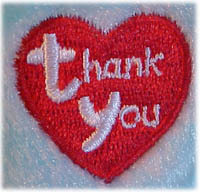 Also was enclosed a card (or a letter for Canadian & Europe retailers) that thanked the retailer. The Beanie has a read Heart on his chest that says "Thank You." 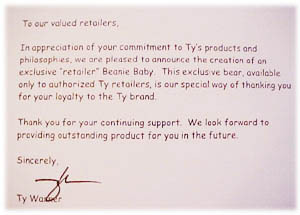 In appreciation of your commitment to Ty's products and philosophies, we are pleased to announce the creation of an exclusive "retailer" Beanie Baby. 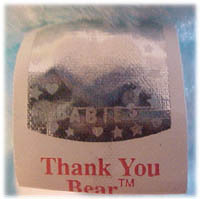 This exclusive bear, available only to authorized Ty retailers, is our special way of thanking you for your loyalty to the Ty brand. Thank you for your continuing support. 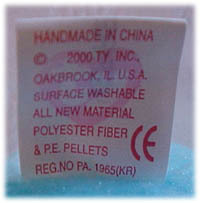 We look forward to providing outstanding product for you in the future.